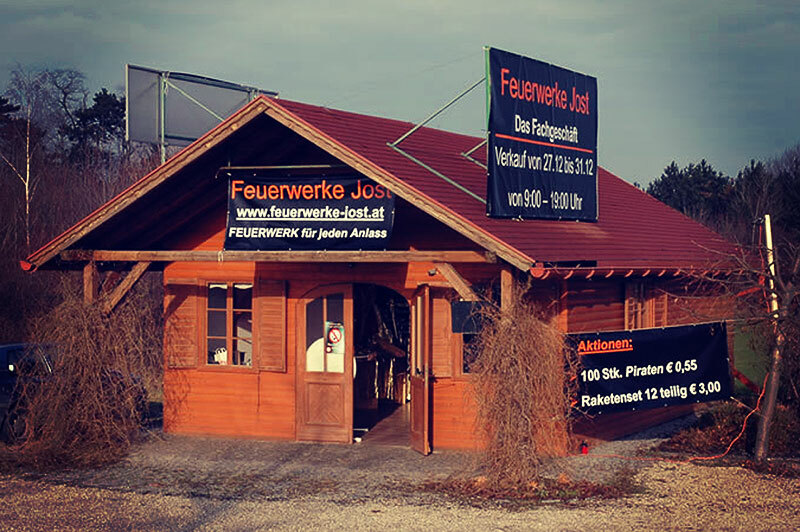 In addition to our professional displays Feuerwerke Jost also strives to provide products of best quality on the occasion of New Year´s Eve. As a professional business, we make sure that our fireworks products meet highest standards in terms of safety and as well as visual impact. We offer selected, high quality fireworks products from renowned manufacturers at competitive prices. We kindly invite you to come and see for yourself the advantages of our services and expertise at our annual product demonstration, where you can also turn to our pyrotechnicians for advice. Our team is always happy to provide useful tips and tricks for a perfect New Year´s Eve fireworks spectacle. Moreover we are happy to put together an individual fireworks package for you for a safe and successful New Year´s Eve.